As Kenya revives the stalled plans for the construction of two million additional housing units there is growing optimism in the future across the country's urban areas with the first 500,000 housing units expected by 2022. In addition to the increasing expansion the units are a part for the country's education sector to accommodate the increasing student population, this could trigger long-term demand for quality wood coatings in Kenya in the drive to improve wood products aesthetic look, cushion them against environmental damage and protection from chemical attacks. As the country strives to complete their target of about two million housing units which is equivalent of 61% of urban households living in slums in a country where the urbanization rate has grown to 4.2% this is a key driver for the wood protective chemicals. A report by the Kenya Property Developers Association estimated the demand for housing on an annual to be 200,000 compared to the average 50,000 units go online every year. Nevertheless the government plans were revived by President Uhuru Kenyatta ensuring the construction of 500,000 affordable and decent housing units by the year 2022 as a part of this agenda 'Big Four' meeting the country's growing urban population. As there is a surge in the construction of houses in Kenya this is expected to trigger off demands of wood products which require a variety of resins like polyurethane, acrylics, nitrocellulose and unsaturated polyester. Manufacturers of paint in the country are optimistic with the plans to build additional housing units across the country's urban areas as this will boost their business operations with a few manufacturers affirming their readiness to meet the anticipated demand for good quality paint products. The Chief Executive officer of Crown paints Rakesh K. Rao said that the Kenyan government has indicated interest in providing a million low-cost houses this will create a significant demand for paint, we already do have a wide range of economy paints and other products to meet this demand, he said. The company manufactures a variety of products a part of the Crown finishes series like aquarvarnish, multi-purpose clear varnish, two-pack polyurethane, two-pack epoxy, and polyurethane wood seal, clear varnish, polyurethane and oil varnish stains. 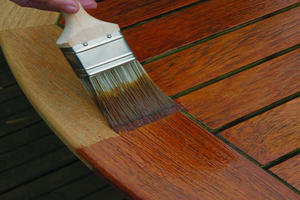 Nasib Industrial Products, Solai Paints, Robbialac Paints, Sadolin Paints and Basco paints are other industry players that are eyeing a share of anticipated growth in wood coatings in the country of Kenya.Just like the rest of Africa Kenyan wood coating market would depend upon the soundness of the costing manufacturers and operational strategy of the business that would enable their survival in the global volatile of raw materials while keeping their products affordable and address effectively the increasing concerns about Volatile organic compounds (VOC) that is originating from the coating industry.